Pink duo Amitabh Bachchan and Taapsee Pannu are coming back together in yet another thriller. Titled Badla, the film will be helmed by Sujoy Ghosh. On Monday afternoon, Shah Rukh Khan and Amitabh Bachchan had a small Twitter banter that left the fans wondering. The posters from Sujoy Ghosh’s film are quite intriguing as is its tagline: “Maaf kar dena har baar sahi nahi hota.” The film is said to be a murder mystery and is an official remake of 2017 Spanish thriller Contratiempo. 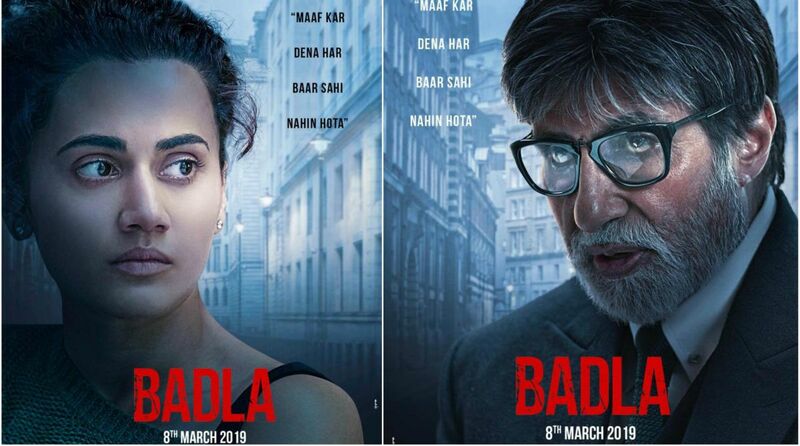 Badla is directed by Sujoy Ghosh and produced by Red Chillies Entertainment in association with Azure Entertainment.